We’d driven hours to get to this small mountain town of Nairutia, Kenya. Even with windows closed, the dust became so plentiful inside of our car that we could taste the flavor of the earth on our tongues. Not my favorite dish – I might say – but It didn’t matter. We were here for a purpose. Francis… after running all of the way home from school. After one more lengthy stretch of desert brush lined – compressed earthen road, we finally reached our destination. Father Maina’s mother greeted us with opened arms. She was happy to see us again. We were happy to see her as well. Guka’s (grandfather’s) pace was slow but steady as he approached us. He’d been suffering from dementia and I wondered if how our presence on the homestead would feel. HIs warm smile revealed all. I held out my hand and gently welcomed his in a greeting that remains memorable in my heart. What a joy it was to be in this place again – with the people we’ve come to know. Father Maina’s mother (mama Maina) worked side by side with Peris, her helping hands, to prepare a lovely meal for us. We were honored by their efforts. Chapati (circular shaped soft, flat bread), vegetables and a plentiful dish of chicken protein were served to all. Wow! Our hungry bodies reveled in the presentation. Guka joined us, first with his heaping bowl of maize and beans and then again (I think he forgot that he just ate) for chicken, potatoes, greens, rice and chapati. It was a joy to see him eat. (I know they’ve been having some difficulties getting him to take food). But we were not there for food. We came for a purpose today. Like so many other regions in Kenya, this place too is remote and filled with great need. The children filed in – one by one – with their hopeful mums in tow. Child and adult garments alike were tattered and torn. The boys were adorned in pants, too big or too small and the girls were graced by dresses that had probably seen better days long ago. The sitting room that comfortably fit our mission team and Father Maina’s family soon welcomed every guest that entered that compound. Tables became chairs and it all worked very well. Francis and Faith were newly accepted into our program and were amongst the many others who were still yearning for a chance: A chance to be sponsored. A chance to go to boarding school. Thoughts began flooding my mind. I could hardly register them at the speed by which they arrived. This precious child is Faith, 20011. 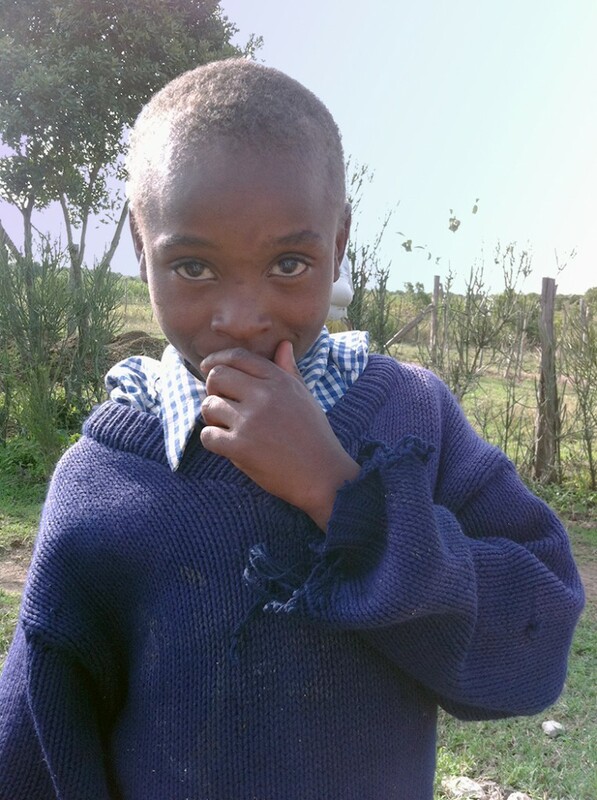 Today she and her brother Francis are sponsored by Matanya’s Hope and is thriving in school. Thought: my thought: Sponsorship needs to occur. They smell like sweet earth. So little. At 10, she looks like 6. Her nose is running – clear but steady. The same with Francis. At first glance, her clothes look bright and new, but as she drew near, it only took a moment to register the tattered pullover and frayed skirt. The truth I already knew was now portrayed in such visual clarity; I could hardly remain composed. Her tiny feet touch the earth. I wonder what shoes they’ve ever known. I wish we could all reach out and touch these beautiful children. Next year I promise myself: I will bring more shoes. More blankets. More school supplies. 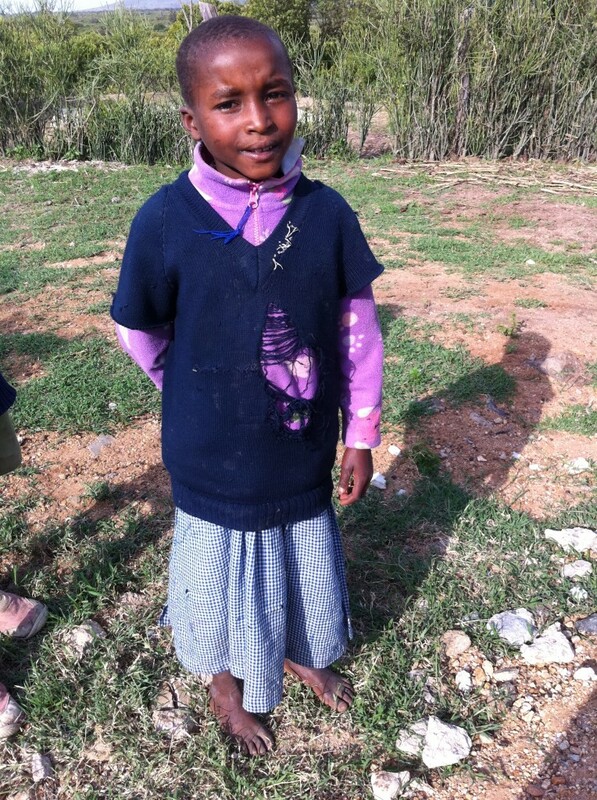 And I pray, God will provide more sponsors and the children who may feel forgotten can still have hope. To Gretchen, Erika, Tina and Lisa….thank you all. If this earth really has angels… you are surely some! This entry was posted in Uncategorized on March 11, 2015 by Michelle Stark.